Pictured above is the 1.5 litre bottle of 2010 Il Poggione Brunello di Montalcino, red wine. 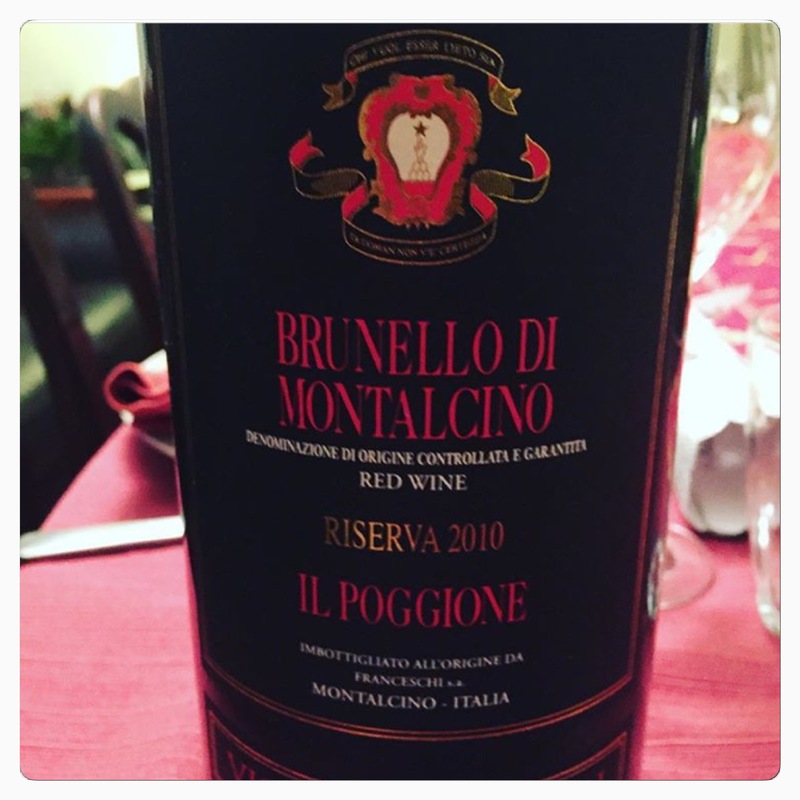 I’ve never tasted a Brunello that I didn’t like and I had the pleasure of sharing this Italian wine with family at last year’s Christmas dinner. Brunellos are a fabulous red wine choice, usually offered at higher price ranges, they tend to be a heavier yet rounded tasting red which is very compatible with my palate. Keep an eye out when browsing and I will be posting more Brunello reviews shortly as it is definitely one of my favourite bottles.